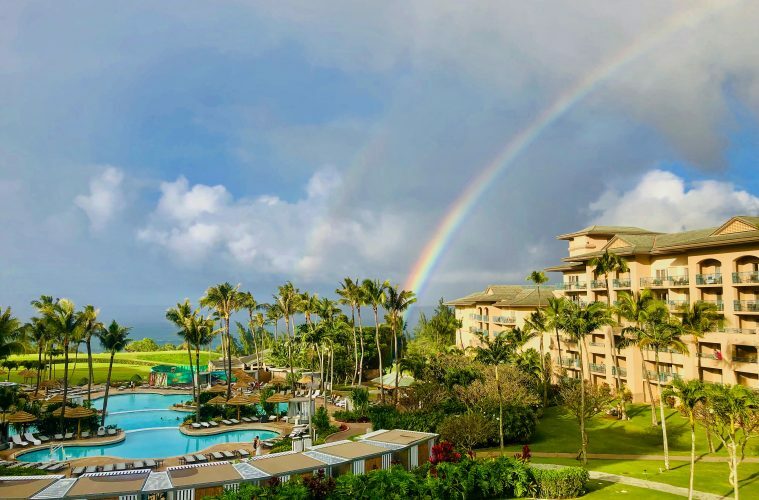 Situated in the North-Western corner of the paradise Hawaiian island of Maui, poised perfectly for sunsets and rainbows, sits the expansive Ritz-Carlton Kapalua resort. Guests can unwind in private and serene surroundings, yet only a short drive from the bustling beachside town of Lahaina if needed. 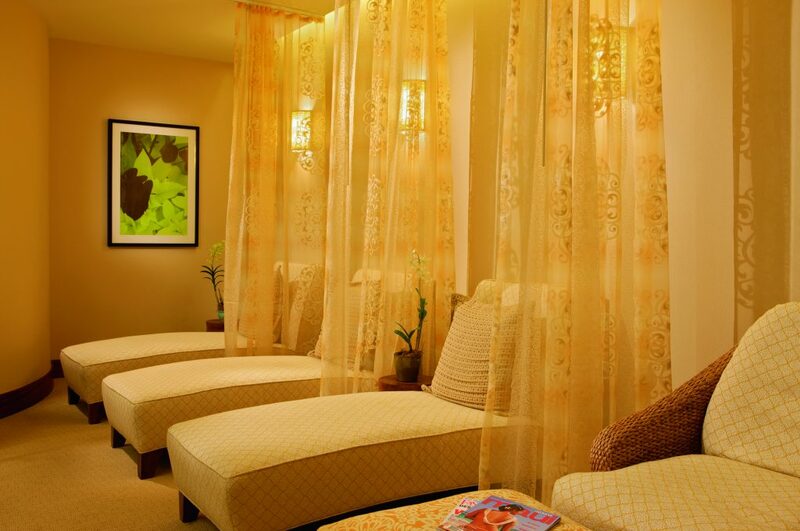 The on-site spa draws inspiration from native Hawaiian traditional practice, infusing treatments with flowers, plants, fruits and herbs from their own organic garden. Offering a full suite of spa services, guests can choose from facials, massage and beauty maintenance, or opt for an ‘experience’ such as the Tropical Awa Nui Journey, or Hawaiian Herbal Embrace For Two. Following treatment, relaxation continues in one of the resorts impressive cascading-level pools, heated and open twenty-four hours, or soaking in two hot tubs, with private service at one of the poolside cabanas, admiring the stunning view over the ocean. 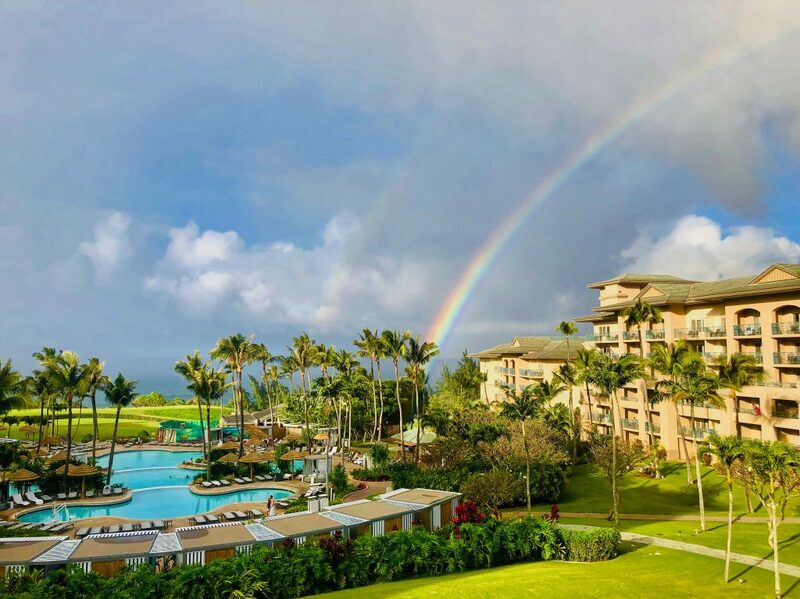 The LomiLomi massage by therapist Jodi uses traditional Hawaiian concepts of body, mind and spirit, designed to be a relaxing and gentle way to soothe away stress, coupled with signature aromatherapy scents to transport you fully into the idyllic location of Kapalua – Hawaiian style. Nestled in the Austrian mountains, just outside of Innsbruck, the five-star Spa Hotel Jagdhof is designed in Alpine style, and well deserving of its induction to the Relais & Châteaux portfolio – a collection of the most unique boutique hotels and gourmet restaurant experiences around the world. 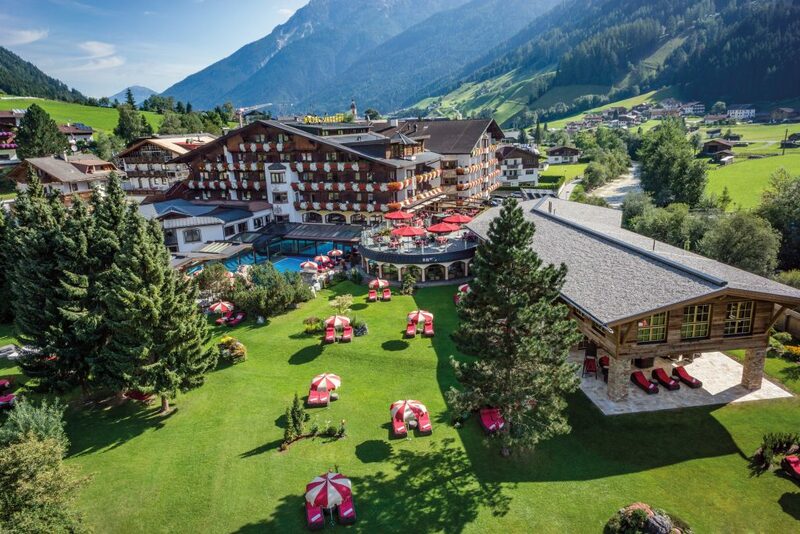 Summer brings lush greenery and hiking trails, whilst winter boasts skiing and snow activities; either choice perfectly culminating with relaxation in their charming themed JSpa, which boasts three-thousand square meters of pools, relaxation and twenty different spa experiences. The hotel rooms and suites offer Tyrolean luxury where the personal character of the owners, the Pfurtscheller Family really shines through. Fantastic locally-flavored cuisine tops off the experience curated lovingly by owners Christina and Amir, who will personally make sure your vacation is top class, leaving you admiring their own zest for the good life. The Private Spa Suite is a unique treat for privacy, a honeymoon or special birthday. Comprising an exclusive private sauna, steam room, hammocks, lounge beds, bubble bath and more, book a session with a massage, and relax and spa in solace with a hand prepared body scrub before being joined by your masseuses for the ultimate in spa exclusivity. It’s the bathroom you wished you had at home. Just ninety minutes drive east of Atlanta, Georgia, you’ll discover the perfect antidote to city life, at the Ritz Carlton Reynolds resort, nestled along thirty acres of Lake Oconee shorefront, making it immediately unique from other Ritz-Carlton properties, yet with all the trusted amenities you’d expect. This tranquil setting is perfect for rest & relaxation, with a variety of activities on and off the water, a stunning lakefront infinity pool, and the Linger Longer steakhouse, where as the name suggests, time passes slowly. A major draw is the huge spa complex which features a variety of relaxation rooms, an impressive indoor pool, The Gents Den (resembling a classic barbershop) and a wide variety of custom spa treatments, administered in a country lodge-like setting. 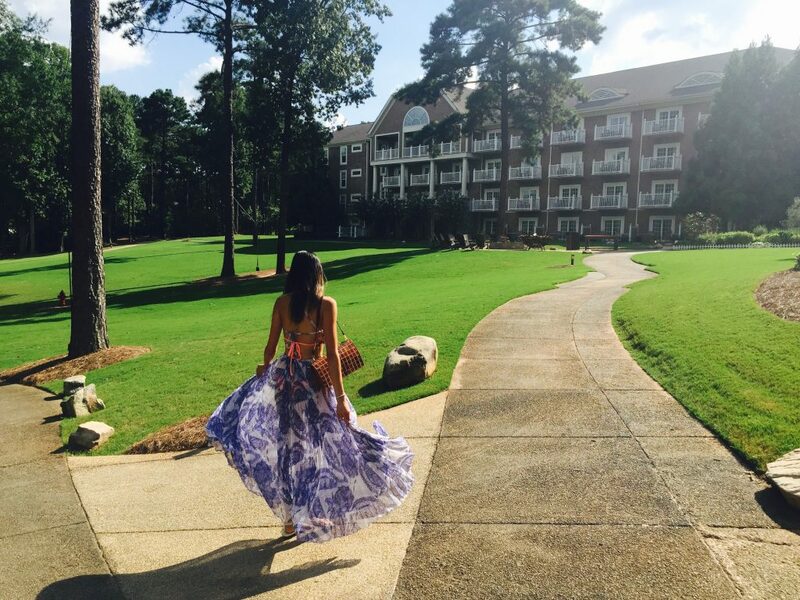 It’s easy to see why singer Carrie Underwood chose this setting for her wedding vows. The unique Vichy Shower hydrotherapy treatment, used during a massage or body scrub. Multiple showers gently and warmly rain on the full length of the body during the session, giving extra cause to simply succumb to rejuvenation. First thoughts of Tuscany usually conjure images of lush, green, rolling hills, accented by lines of tall elegant cypress trees and sunsets for miles – and that’s not wrong – but add in natural, healing hot springs to the equation and you pretty much have the definition of idyllic. 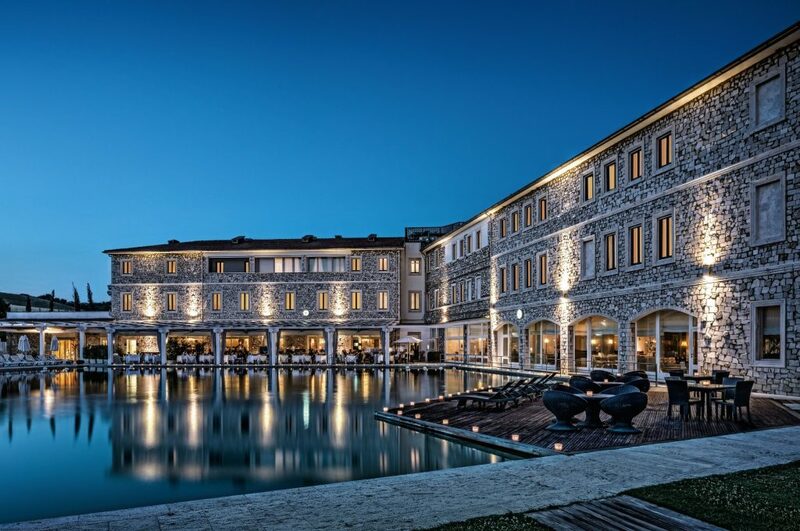 That’s what you’ll find at Terme Di Saturnia’s Hotel & Spa, situated in the southern part of the Tuscan region. The hotel itself is an elegant blend of classic stone architecture, with bright, modern and refreshing rooms, where day activities include soaking in one of the many thermal pools or fountains (either private to the hotel or the public thermal park), or Michelin-starred dining al fresco poolside at night, using clean, fresh ingredients with a focus on well-being and “zero kilometer” produce – locally sourced and organic. While the sulfuric smell from the thermal baths may be off-putting at first, you soon get used to it and are reminded of the benefits you’re giving your body. The Hot Spring Park at Saturnia, a complex of four hot spring pools, waterfalls, jacuzzis and water courses of warm and cold water. Naturally heated to 37°C (99°F), unwind for hours, then replenish healthily at the neighboring Spa Cafe. This property is simply majestic, with its grand Châteauesque style, looming over the banks of St Lawrence river, north of Quebec. The French styling is continued throughout the impressive five-star accommodations, and multiple award-winning restaurants. The Moment Spa on site offers a variety of traditional services and was recently awarded ‘Best Luxury Hotel Spa Regional Winner’ at the 2017 World Luxury Spa Awards. 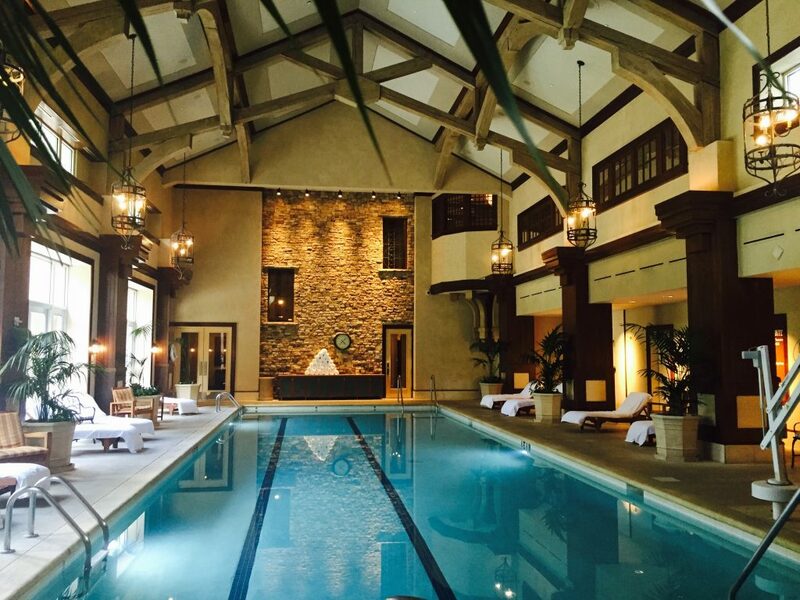 With the use of indoor and outdoor pools with some treatments, you can definitely while away an afternoon in bliss at Le Manoir Richelieu. 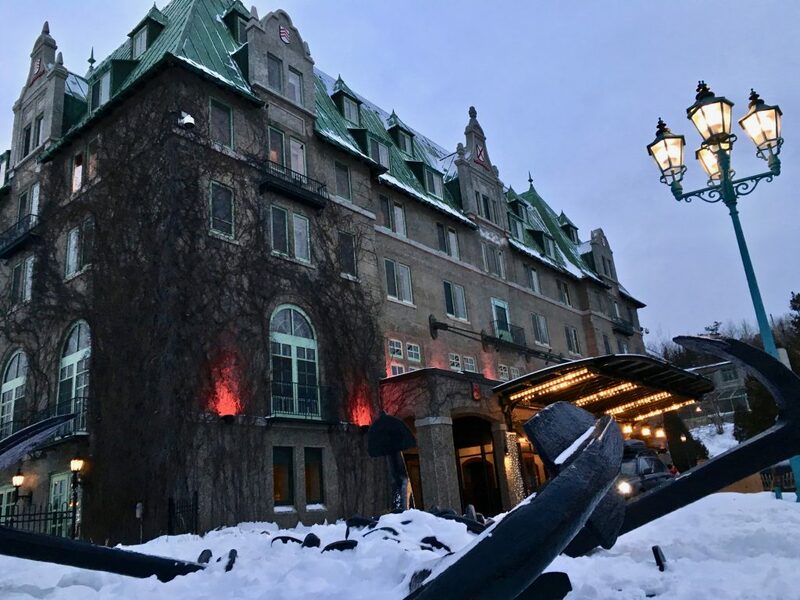 A winter visit to Le Manor Richelieu is a must – the hotel looks chocolate-box stunning with fresh snow accenting the architecture. With world-class ski-ing nearby at Le Massif, a well-deserved massage and dip in the outdoor heated pools, or ice-skating in the grounds will have you feeling all types of festive. 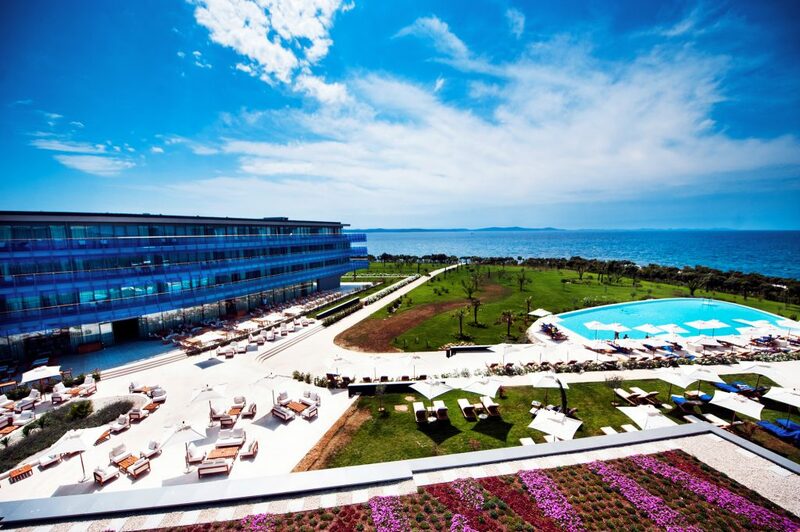 On the Adriatic coast of Croatia, sits the luxury Hotel & Spa Iadera. This expansive and modern hotel resort by Falkensteiner has aquatic accents throughout its design, and the fresh, yet colorful rooms horseshoe over the central courtyard out to the panoramic sea-view. There are plenty of different areas to choose from to soak up the sun, ranging several pools to private beaches and lounge areas, but the central jewel is the Acquapura Spa. As the largest spa complex in Croatia, at over six-thousand square meters, it’s easy to get lost in the various forms of rejuvenation: indoor/outdoor Thalasso (seawater) pools; an infinity pool; Turkish Hammam; secluded garden with whirlpool; Finnish sauna; brine steam bath; panoramic earth sauna; cold-water canal; Kneipp therapy; and of course a host of massage and pampering services. The dark stone and ambient lighting in many rooms offers a uniquely-refined experience against the airy backdrop of the resort. One visit is not enough, so stay for at least the weekend to try everything out. 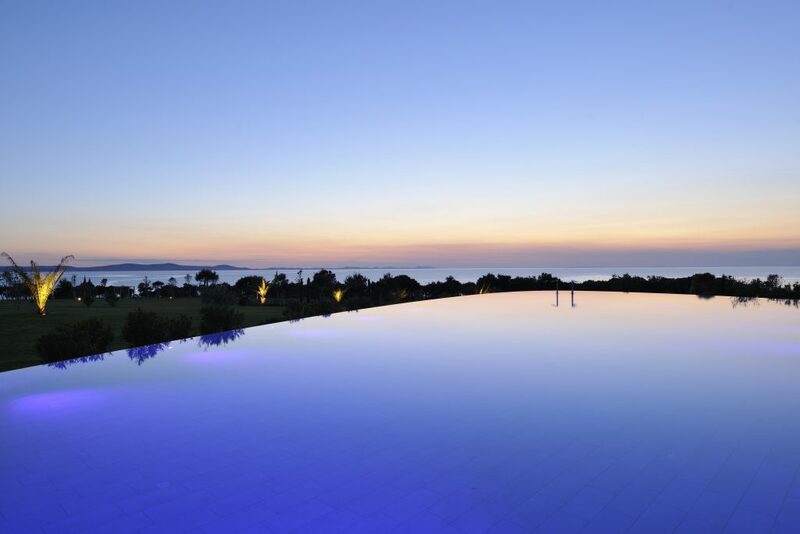 Catching an incredible Dalmatian sunset as you swim between the indoor and outdoor pool, offers a view and serenity that really is as magical as it comes. 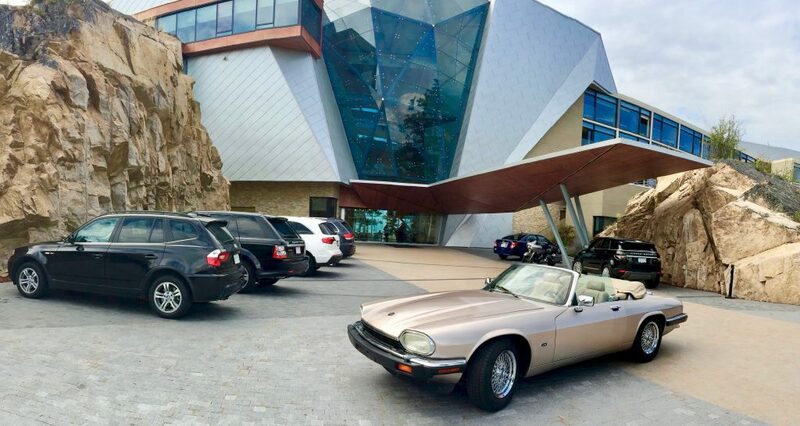 What do you get when you cross a luxury spa resort, atop a granite bluff overlooking a lake, with three-and-a-half million Swarovksi crystals? Sparkling Hill Resort in Lake Okanagan, Canada is the answer. Perched two hours north of the Washington state border, this modern, almost futuristic hotel offers epic views of the surrounding landscape, and a well-being retreat hailed as one of the most unique in the world. Mr. Gernot Langes-Swarovski, patriarch of the famous crystal family dreamed up the concept of abundant crystal placement in all corners of the resort, from the guest rooms to the saunas and spa, giving elegance and sparkle to your wellness retreat. Complemented by the natural local beauty and hiking or ski-ing opportunities, and farm- to-table cuisine in their PeakFine restaurant, this spectacular spa rounds up our list! The 40,000 sq. ft Kur Spa, with seven uniquely-themed Steam Rooms and Saunas, offers novel variety to your wellness routine, with of course, different Swarovski installations in each. Full disclosure: Some of these hotels / resorts offered discounted or complimentary treatments to the writer.